Showing results for tags 'kh'. How are you celebrating Sora's birthday? It's hard to believe it's already been 17 years. Then again, I've only been on the Earth 17 years. 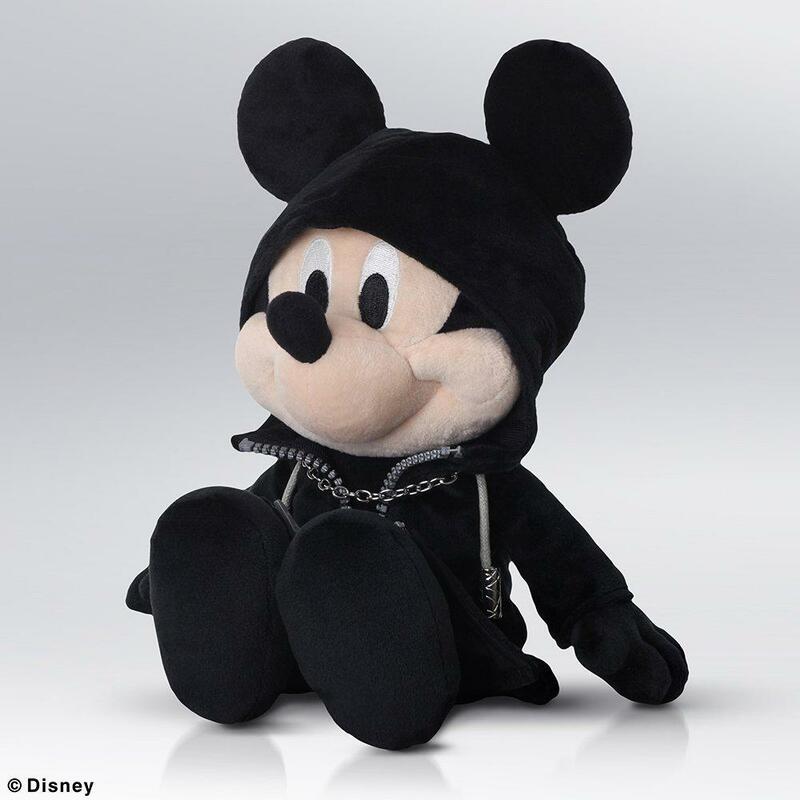 The previously announced Organization XIII King Mickey plush now made its way to Square Enix Store North America and is now available for pre-order. The estimated release date, which might be subjected to changes, is July 2019, and the price is set for $49.99. Be aware that pre-ordering it before March 23 will also apply a 10% discount! Are you looking forward to pre-order this plush? Let us know in the comments! What Kingdom Hearts game was your first? How many poor souls started with Back Cover after being told to go through chronologically? 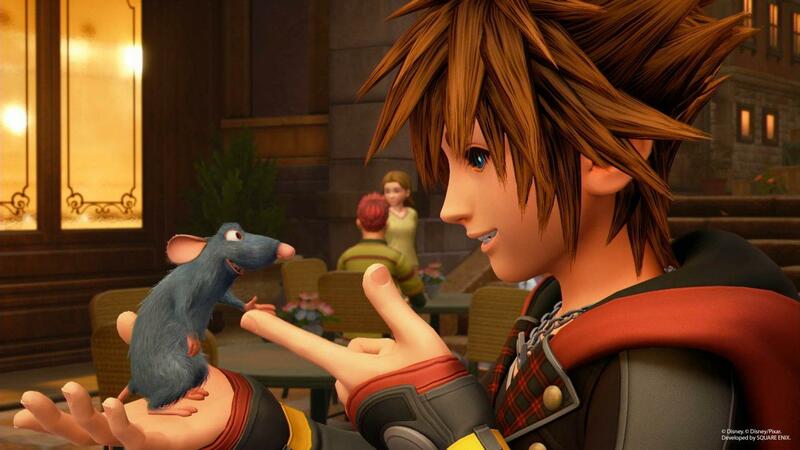 As Kingdom Hearts III came out almost one month ago on January 29, so did the first attempts to look up for all the “hidden truths” veiled into the deepest parts of the game. Although datamining seems impossible at the moment, in this article we will try to sum up all the known discoveries to date made through save editing. Be aware that some of the following medias might be spoiler, so keep reading at your own risk. The first and the most curious finding goes to @Keytotruth. 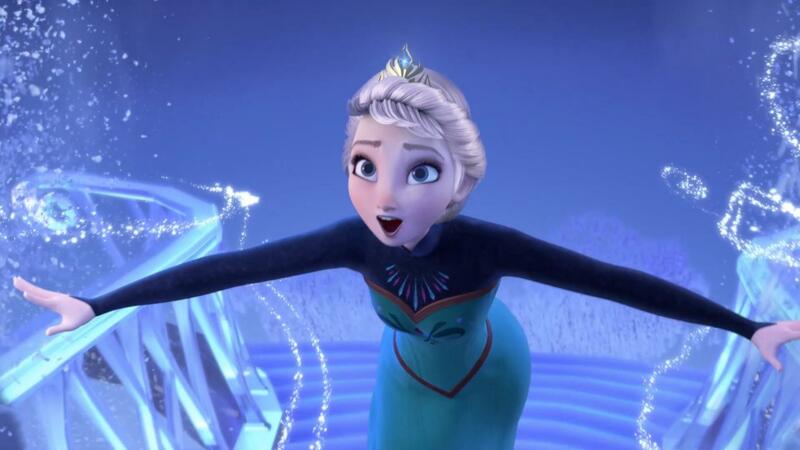 Apparently, Kingdom Hearts III does have some sort of “Critical” Mode. In a quick image comparison, you can spot a clear difference between the HP and MP bar from a Proud Mode save file, and a “Critical” Mode one, as in the letter, the two are considerably reduced. More infos to come. Plus, it looks like beating the game on “Critical” is not going to be displayed into the final Battle Report (credits to @Soraalam1). Thanks to @xeeynamo and @Keytotruth, Aqua managed to get working outside the Vanitas boss fight (which is her only playable moment in the whole game). The negative side is that she is playable on Land of The Departure only. It is also interesting to notice that Aqua has an unused idle face, which might lead to the hypothesis of previous development plans to make her playable during other game phases. Here you can both check out some in-game screenshots and a recorded video from @xeeynamo. One more interesting finding goes to @xeeynamo and @Keytotruth, who accomplished to equip some of the unused (but existent within the game) Keyblades, like Braveheart (Riku’s new Keyblade), Way to Dawn, Master’s Defender and Mickey’s (still) unnamed new Keyblade. In one of his screenshots, @xeeynamo also displayed the possibility to wield Donald’s Mage’s Staff+. Note that no Keyblade beyond Riku ones seem to deal any kind of damage. Here you can both check out some in-game screenshots and a recorded video from @xeeynamo. Thanks to @The13thVessel it is now available a guide to explore San Fransokyo out of its boundaries. You might be willing to check it out, so be sure to follow the exact steps to avoid getting sora despawned. Another compelling discovery from @Keytotruth is that Cura’s 4th spell level, Curaza, does actually exist within the game. However, it seems it can only be triggered by eating some specific food. He also managed to cast in-water spells on the ground. @Keytotruth also noticed an interesting detail concerning the plushies from the King of Toys UFO boss-fight room. Apparently, they have their own unique sounds, which are almost unnoticeable during the boss fight because of both BGM and SFXs. What’s your opinion on these newly found discoveries about the game? Remember that we’ll make sure to constantly update this article whenever something new comes out. Submit your review of Kingdom Hearts III! 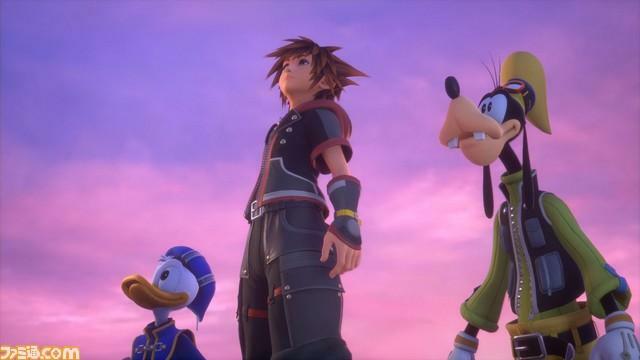 Kingdom Hearts III has recently released in Japan and worldwide now, the highly anticipated game is still needing one final touch; the Kingdom Hearts community’s thoughts and opinions on Kingdom Hearts III. You can now submit your very own review of Kingdom Hearts III for a chance to have it featured on KH13's front page as part of KH13's compilation of community reviews! To enter a Kingdom Hearts III review, guidelines are in effect after the release and must be met regarding the Kingdom Hearts III spoiler policy. You must: Keep your reviews based on Kingdom Hearts content released officially from Square Enix and other official outlets. No inappropriate language Reviews must be reasonable and written with common sense Any review that contains story spoilers will NOT be accepted. In your review the length must be short; a paragraph (3-4 lines) is the maximum length allowed, accompanied by a rating out of 10 (1 being the worst and 10 being the best). The rating should be decided after considering the game's: story gameplay level design character designs, including allies and enemies music replayability and post-game content creativity Make sure you take everything into consideration including the spoiler policy before submitting your review. 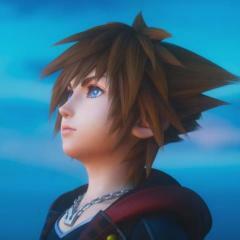 To submit your review just sign in or sign up to KH13.com and reply to this article. We look forward to seeing your reviews! Rumors of Kingdom Hearts being ported to the Nintendo Switch have been making its way around. 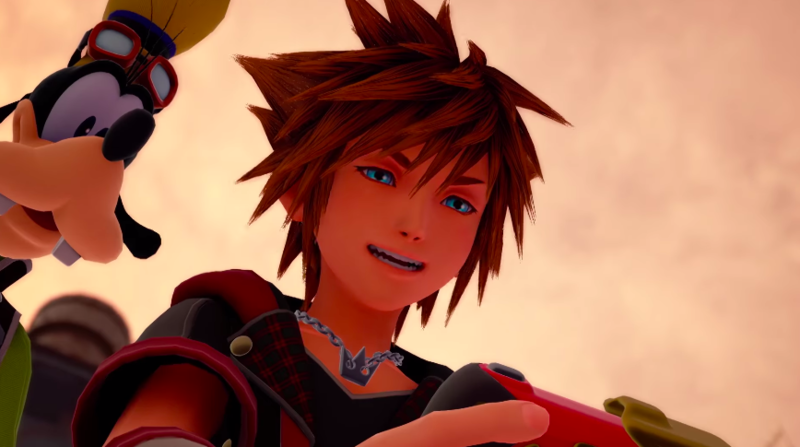 Imran Khan, Senior Editor at GameInformer, guest-starred on Kinda Funny Games and spoke about the possibility of Kingdom Hearts III being ported onto the Switch. Khan stated that there has been talks between Nintendo and Square Enix regarding the possibility of Kingdom Hearts III on the Switch, but Kingdom Hearts III has been deemed unfeasible and is too demanding of a game. However, Khan believes that there is a higher possibility of Kingdom Hearts HD 1.5 + 2.5 Remix being ported to the Switch and the remasters are probably where Nintendo and Square Enix settled it, but it hasn't been confirmed. You can watch Kinda Funny Games featuring Imran Khan here. Would you want Kingdom Hearts to be available on the Switch? Let us know below! 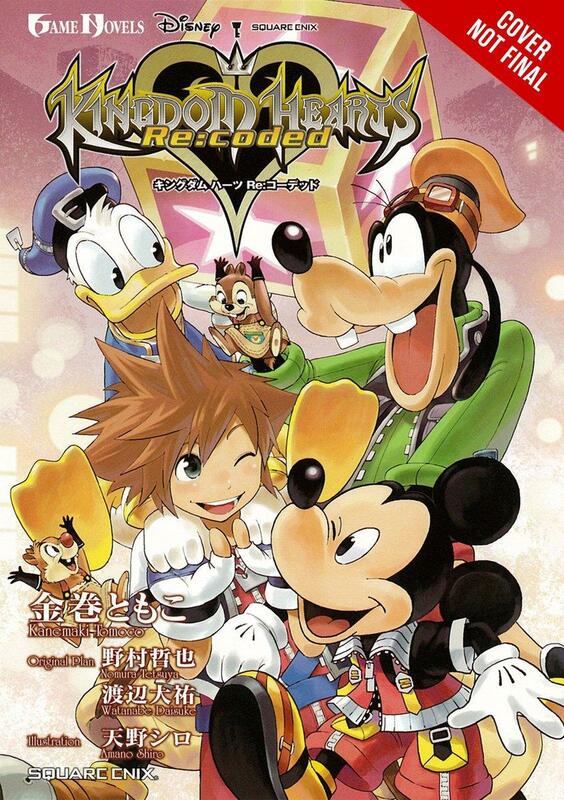 For more Kingdom Hearts news follow us on our Twitter, Facebook, and Tumblr! As 2019 came, so did January, so did Kingdom Hearts III, and so did all the merch! 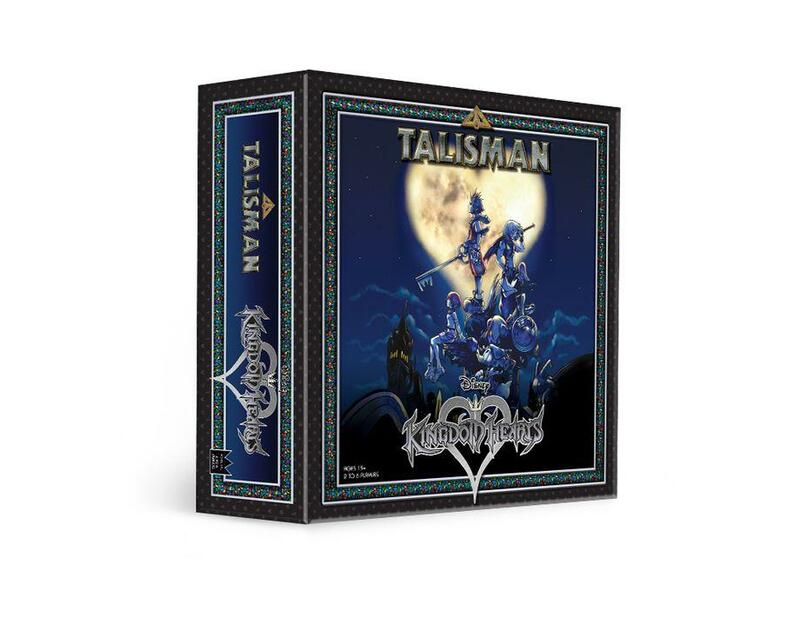 KH13 is therefore duly back with its monthly Kingdom Hearts merch roundup. The first merch to report might be a good choice in case you’re looking for some cool streetwear or winterly accessories. Gamestop is selling a Kingdom Hearts themed New Era baseball cap (fitting name, I must say) for $24.99 and a beanie with pom for $14.99. GameStop have also started to sell a Heartless themed Satchel for $20, and a Sora Wallet for $19.99. These two goodies look absolutely stunning, and might be even better if paired to match an evening outfit. Speaking of... these might be a good accessory to wear at the Kingdom Hearts Orchestra -World of Tres-! Looking for some fancy looking Destiny Islands or Keyblade inspired t-shirts? You might want to take a look at these. According to fan @TheFluffMother, the Destiny Islands one is being sold by BoxLunch, and the other one is by Spencers. You might also want to consider to replace your old and holed socks with this new pair of Kingdom Hearts Icon Socks, which is going for $9.90 on the BoxLunch website. Be aware that this article is currently discounted by 25% ($7.42)! In case you’re looking for hair accessories, keep in mind that Kingdom Hearts Scrunchies will release in Japan in April 2019 with a price of 3200 yen each ($29.27). The available designs are based on Sora, Riku, Kairi, and Roxas! HotTopic sure has much to offer in terms of hoodies and jackets! 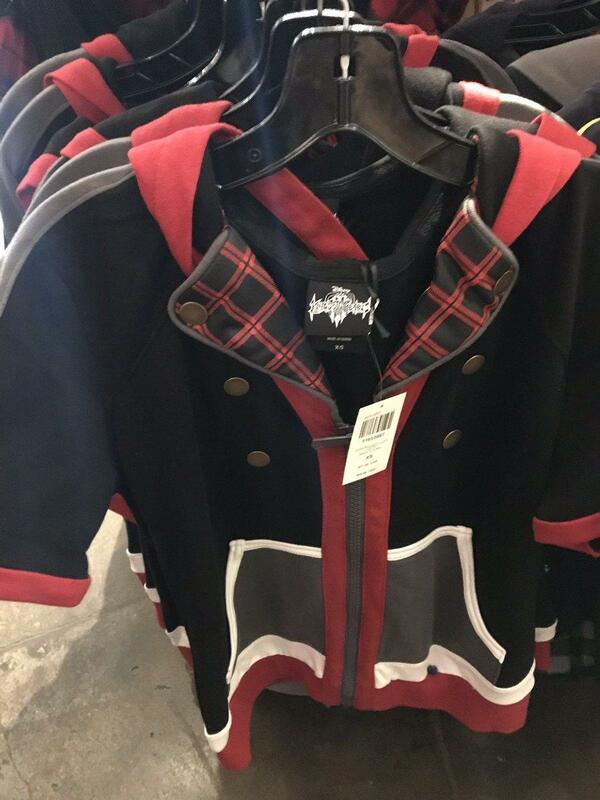 They have started selling a bunch of new Kingdom Hearts III character-inspired clothes: a KHII Sora hoodie (no price confirmed at the moment); a KHII Sora Jacket for $59.90; a KHIII Kairi hoodie for $34.90; an Axel crop top plaid shirt for $36.90. But that's not all: HotTopic is also selling an Organization XIII long jacket, which is currently priced at $103.90, and a Riku jacket for $59.90. Looks like HotTopic also wanted to catch shortalls lovers’ attention too by offering this amazing Kingdom Hearts shortall for $49.90. They are also selling a KH3D shirt designed with the official game cover artwork, and it comes for $24.90. HotTopic is also selling Kingdom Hearts icon soft shorts for $19.90 and a Heartless hoodie for $54.90 on their online shop. 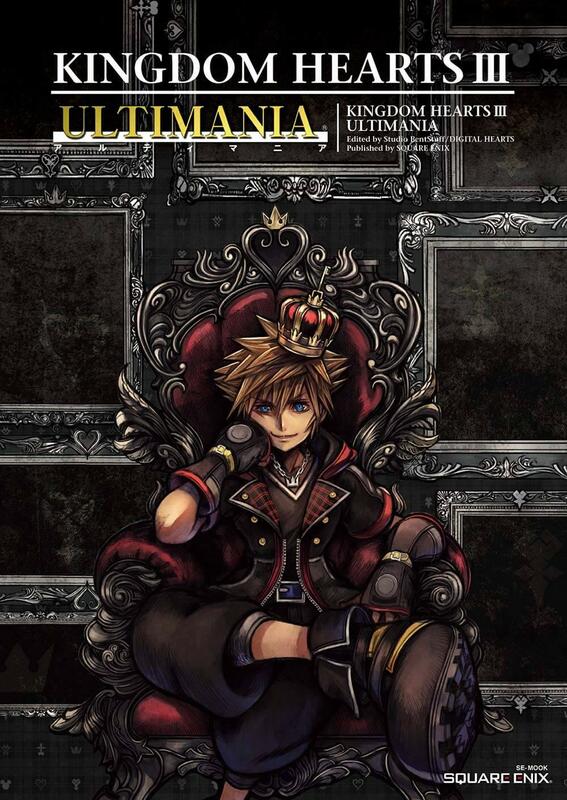 Now that you've got your hands on Kingdom Hearts III (and have probably been playing it for hours and hours and hours), your addiction to Sora's new outfit might have grown so much that you are looking forward to cosplay him. You know what? This hoodie from HotTopic is a really good choice for both cosplay purposes and casual wear, and it can be yours for $59.90. This tip and photos were provided by @KingdomPlayer19 and @Churro! Looking for a light-colored shirt, perfect for those warm and sunny days when your only thought is to lie down on a gold sandy beach? It seems that despite the cold weather, Hot Topic has managed to bring some summer sunshine with the Sea Salt Ice Cream/Paopu Fruit shirt for $24.90. Let's shift our attention from clothes to collectible figures. You might be interested in these new exclusive Kingdom Hearts figures from Diamond Select Toys, which are currently being sold at Walgreens. Have some of the listed merch caught your attention? If there is anything which you are considering buying, don't forget to let us know in the comment section below!